Border Model is a company that few have heard of. They haven’t produced any injection moulding kits up till now, nor there is any information that were involved in supporting activity of such kind. 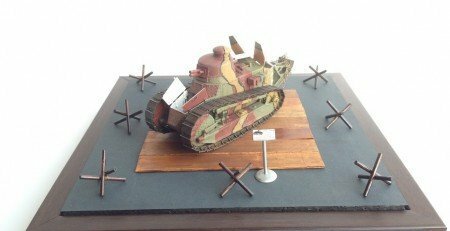 Apparently, that was not an argument strong enough to stop them from entering the scale modeling scene and not only that, but enter it with a big bang. That loud bang came from the fact, that they are stepping into the light with no other, but Panzer IV tank, which is an object of great and passionate discussions for decades now. The Panzer IV in real life is nothing short of a legend, but in modeling World it is one of the most discussed objects, due to its accuracy, numerous variants and endless camouflage schemes. So far Dragon was the company that was considered the most wanted when it comes down to Panzer IV. Actually, Dragon is considered as the best armor producer in regards to WWII period in general. They have been criticized for some accuracy issues /mostly due to version mixing in the boxes/, some instruction flaws and fluctuating quality of the combinations – some kits feature separate track links, others rubber tracks, some have enough metal and PE, others barely. But even with that, nobody came close to their quality. Border model made an attempt to play on that scene and here we’re about to see what they did and how well they did it, because Panzer IV is a game only for A-listers. The box of the Border’s first kit looks very neat. It is professionally made in all aspects and one might think that they got the know-how from somewhere. 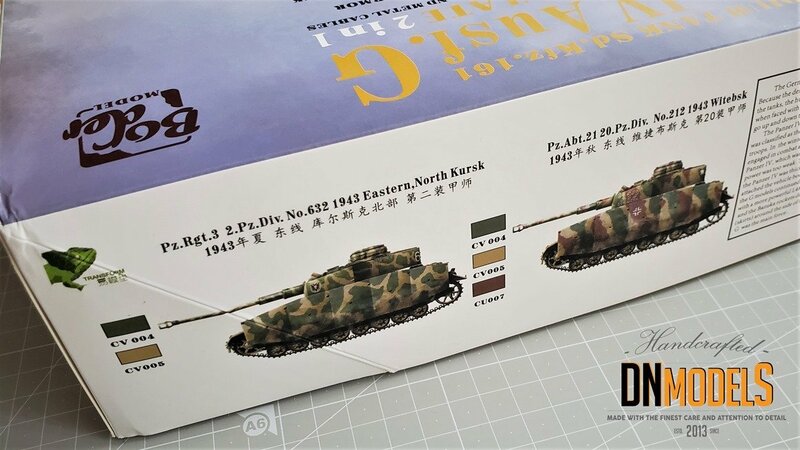 Many modelers speculated that TAKOM has something to do with this kit, due to similarity of the boxart. We have a winter scene with Panzer IV over a partially snowed field, with battle smokes in the rear. 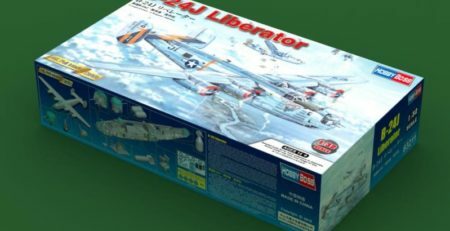 Similar, to what some of the TAKOM kits already showed. In colors, in appearance, in everything. It is only a speculation though. Maybe the same person painted the pictures. 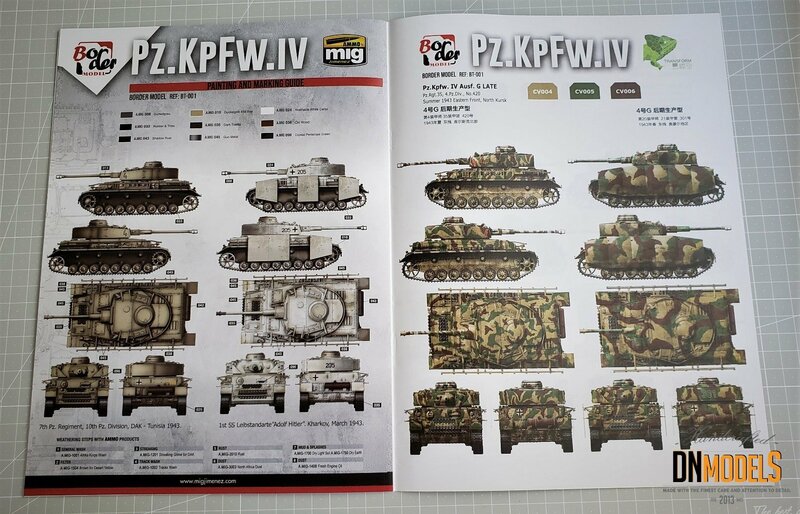 The sides of the box show profiles of some of the Panzer IV color options included in this kit. They are plenty, because the kit is 2 in 1. There are also basic color guides for each of those mentioned, but it is only basic thing. Just to spice up the appearance of the box in general. Successfully actually. A short description is added too, but as with the first Trumpeter kits, the description was written with someone with not-so-good knowledge in English. It seems chaotic and you must devote yourself to catch what exactly the writer wanted to say. Many word repetitions, no clear structure. This, so far appears to be the only let down of the boxing. Maybe not very important for many, especially Panzer IV experts, but still. The booklet with the instruction sheet is about an A4 in size. 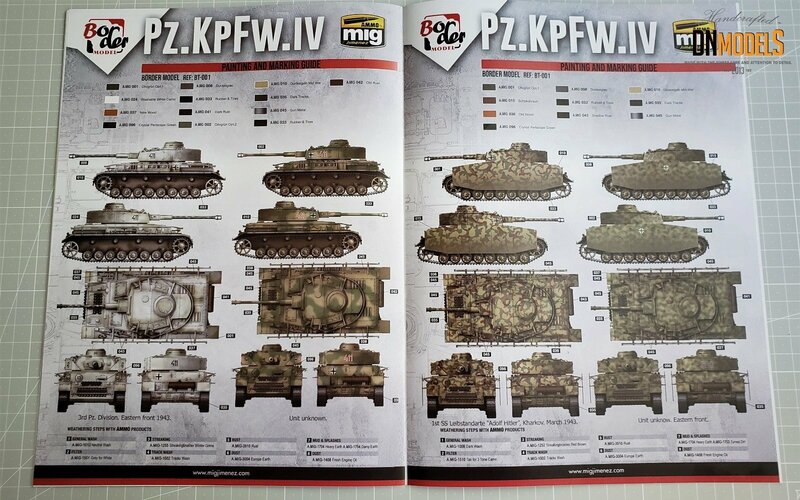 It is made from glossy paper, with the boxart and the sprue description instead of a front cover and a Tank You note on a black background alongside with Panzer IV profile drawing instead of a back cover. 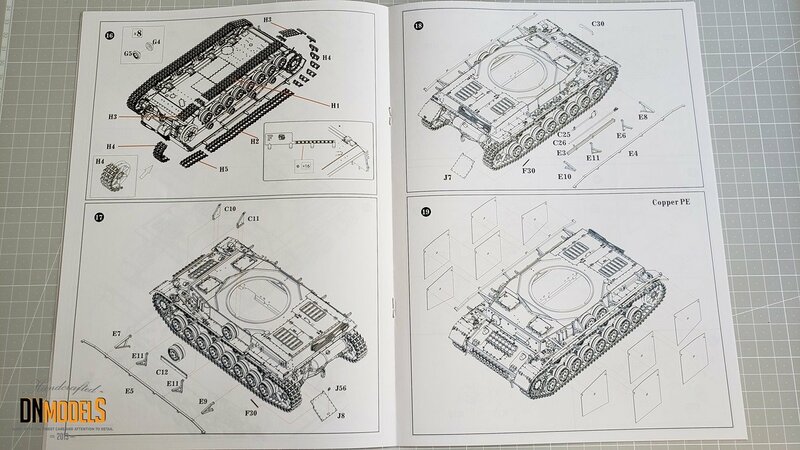 There is a page dedicated to the tank with two black and white pictures and then the building process starts. Every step is clearly depicted, without any overcrowding or confusing parts. There are some explanation in Chinese which were not translated. They are not many but this seems to be a small problem within the instruction sheet. 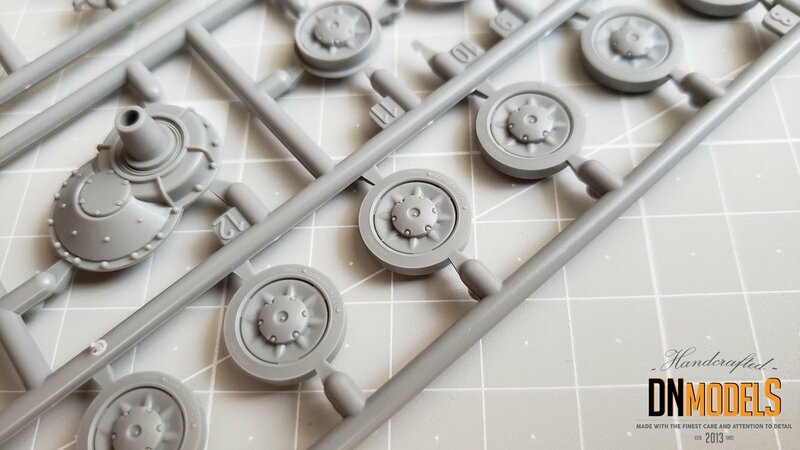 The optional parts are here and there, which is understandable, considering that this kit is 2 in 1, so various small parts can be interchanged in between versions. 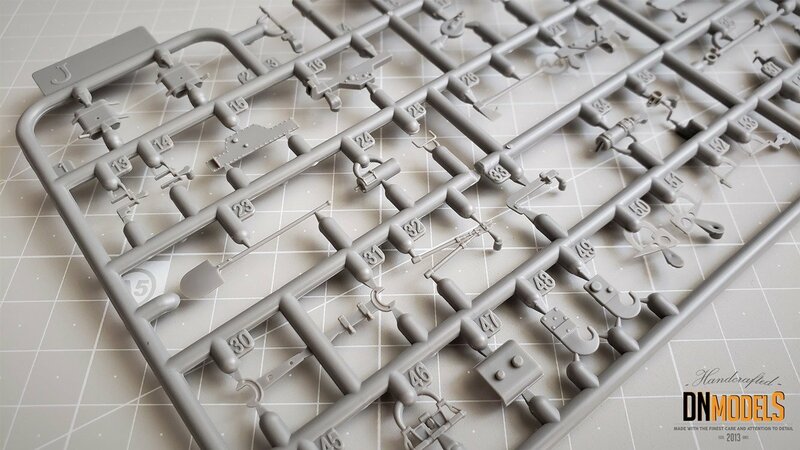 Most likely, this will be the first of many Panzer IV variations. Especially if the very first kit of Border happens to be a commercial success. The last couple of pages are dedicated to the color schemes. Everything is abundant in color and is very professionally executed. There are /what seems to be/ two companies engaged in this part of the instruction sheet. AMMO by Mig on one hand and Transform, a company that I haven’t heard much about. The latter one has a Chameleon on the logo and maybe are part of Border or work closely with them, since this can be seen on the sides of the box lid as well. Mig profiles seems more refined and nicely done, however Transform did a great and on top of that they provide some colors. Again, very little information about those. One of the most important aspects with every new kit producer is the quality of the plastic and the way everything is molded. The plastic here is light gray, flexible and thin. At first glance – very promising. The quality of everything also appears to be very good. By that I mean molding qualities, detail qualities, attention to detail, etc. For example, the tires are labeled Continental, not like Dragon kits where you can get U at the end. Nothing major, but a nice first impression. The parallel with DML kit is inevitable as you might guess and one must admit, that here the quality is very close. It is definitely not better, for several reasons, like for example the overall feel of the material and the looks on the inner sides of the turret for example. DML plastic is more refined in that matter. However on the outside, everything looks great. Besides, we have no unusual complications with anything with this kit. On the other hand, this kit smashes the competition that is not Dragon. Italeri, Academy or Tamiya are all sent into oblivion. 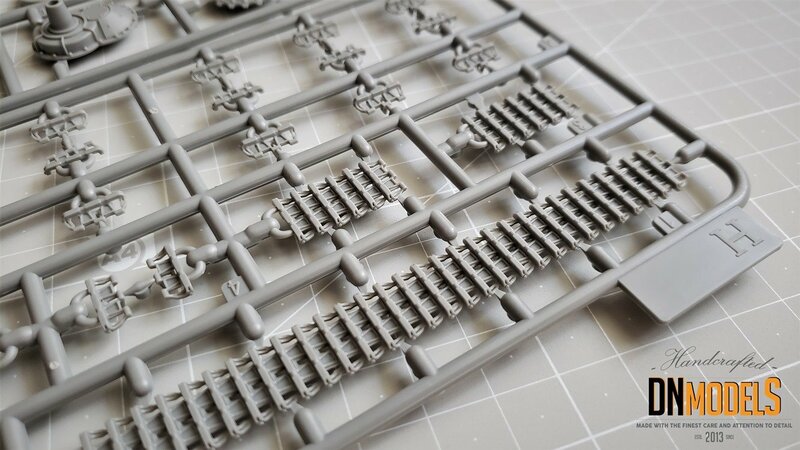 For example Zvezda Panzer IV looks decades behind Border in terms of plastic quality, detail and kit contents. 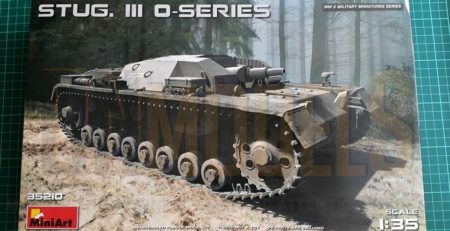 And their Panzer is treated with a lot of respect, in terms of new releases in the last couple of years. 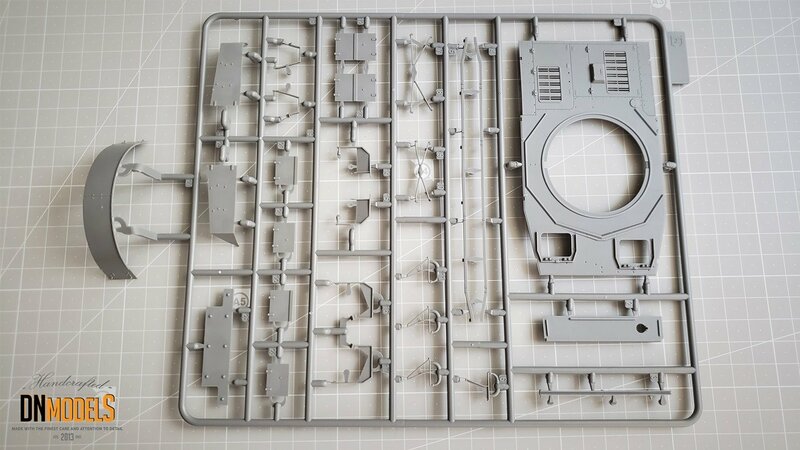 Everything with the other Panzer IV manufacturers is thicker and lack the finesse that Border kit presents. As far as the fit goes, it is too early to draw any conclusions and the same goes for the accuracy of the versions included. There are handful of real Panzer IV experts that can give adequate opinion and probably most of them will refrain from giving something definitive. 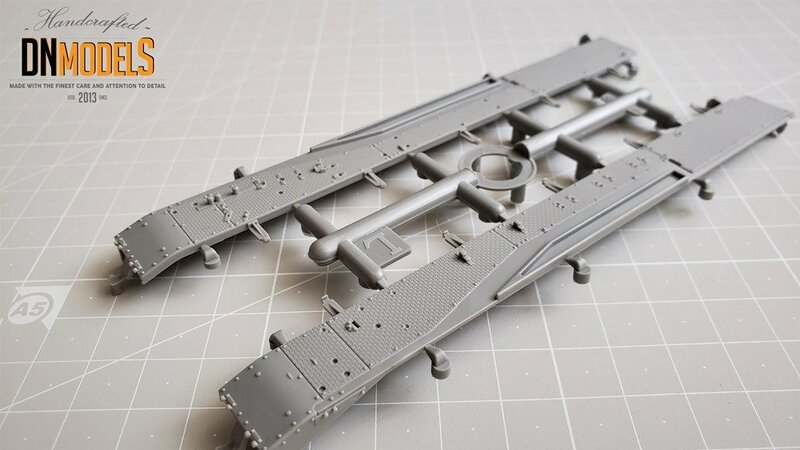 After all, this is Border’s first model and it is way too early to tell what will be the future of this Panzer IV and how the company will cope with any eventual flaws in terms of accuracy and realism. Only time will tell. This is a tricky part when it comes down to armor kits. While some prefer to go down the aftermarket road all the time, others are satisfied with single track links offered by some of the companies out there. The thing is, single links are great but are tedious to be completed and often times, sag is represented in a wrong way. Border selected the road in between. 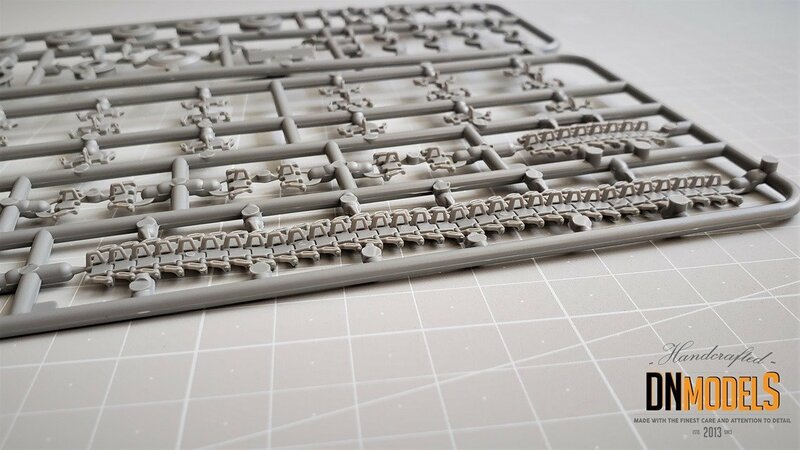 Here, there are track lengths, made from plastic, which look a lot more realistic compared to DS tracks that DML offer for some of their Panzer IVs. That saves a lot of time building it link by link. On top of that, Border added a sag for the upper part of the track length, which helps with positioning and guarantees satisfactory realism. On the other hand, there are ejector pin marks on those track lengths here and they are not a few. Nothing that should discourage you from getting the kit, but still far from perfect. Options to make additional damages will require aftermarket and that is another down side of this decision. All in all, if you decide to build this Panzer IV in orderly condition, you will be just fine. Some sanding and filling the gaps and you’ll be OK. But if you want to do something else involving the tracks, those in the kit won’t do the job. 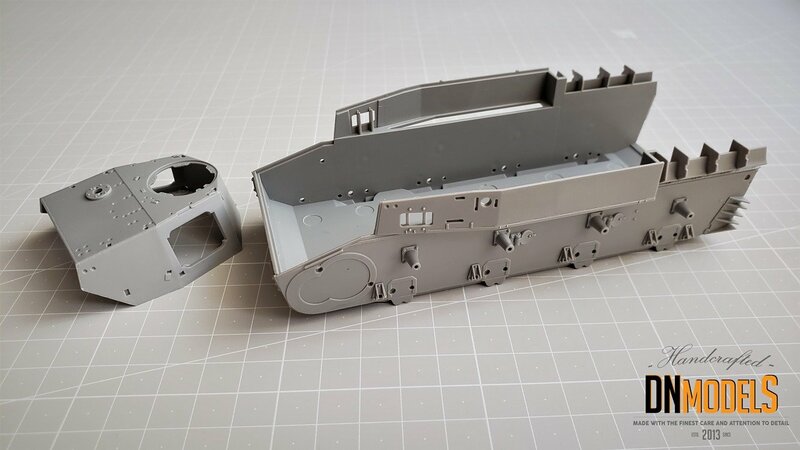 One of the strengths of Border’s Panzer IV are the PE and metal parts that the company added. While Dragon gained their fame /to some extent/ because of such add-ons, in time they started to disappoint their customers with cutting off some of those precious metal or PE parts in their kits. I assume that Border understood that, learned a lesson and added enough to satisfy their customers from the start. Hopefully they will not follow DML in their strategy for the future of course. In the kit we have a metal tow cable, made from flexible material that even if you don’t use with your build, will be very useful at some point in your armor modelling ventures. Alongside with that, we get schurzen plates, made from photo-etch and with nice execution, plus they are /again/ a quantum leap when compared with Zvezda kit for example. It doesn’t end there though. We have another PE sheet with more parts, like for example some clamps, which armor modelers adore. And again, it doesn’t end here either. We also have metal gun barrel and smoke dischargers too. The latter ones are not the best metal substitutes out there, nevertheless, being in the kit is a pleasant surprise and we have to give it to Border for their effort. Plenty here and presented in very pleasant manner, as mentioned above in the instructions’ section. Most of the vehicles are from the Eastern front as one might expect and of course, as the boxart suggests. However, there are examples from Italy and Tunisia. Almost everything is included. Single-, two- and three-tone camouflages, as well as winter washed Panzer IV are presented. It is understandable, considering the fact that from the thousands of Panzer IVs used you could probably find many of each and in various stages of wear and tear, which makes your option limitless. 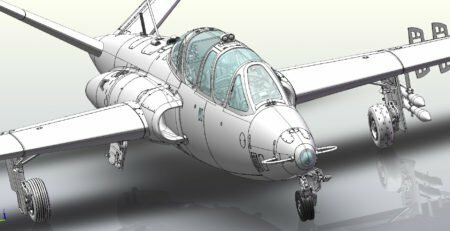 With that in mind, Border added a handful of options, which will get modelers’ admirations and warm welcome. Such an abundance can be confusing sometimes and the decision which of the ones depicted to make might be problematic, especially for the young fellows which will get this as their first kit. The solution is, as always – get more than one box. However, having plenty is always better than having only one or two color options. It definitely won’t hurt anybody. There is a sheet of camouflage masks included in this kit. 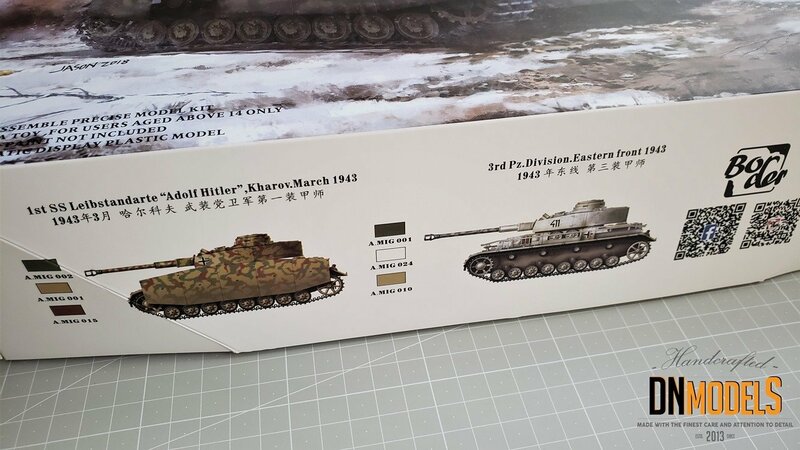 What I’ve heard is that this is an add-on only for the first batch of Panzer IVs, but so far everyone I know who got the kit found them inside. 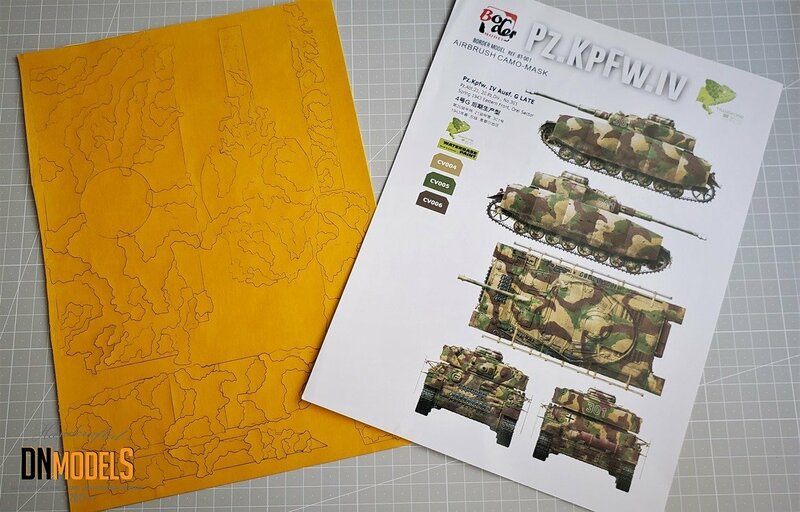 Anyhow, the mask sheet covers one of the camo schemes and probably will be useful for some. In my opinion they are a bit thick and are made from material that I am not familiar with. How strong it will adhere to the surface while in the painting process also is not clear. 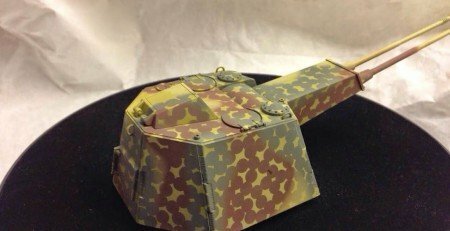 Most of the Panzer IVs of that time were hand painted though and some will find the masks useful only to outline the camo pattern. Hard edges are something that you can hardly find on Panzer IVs on the Eastern Front, that is for sure. Good to have them though, especially for someone who wants to replicate the exact copy of the scheme presented. There is no easier way than using masks for scale modeling. Being Border’s first effort and with such a demanding subject, I must say I am impressed with the achievement that the Chinese company demonstrated. 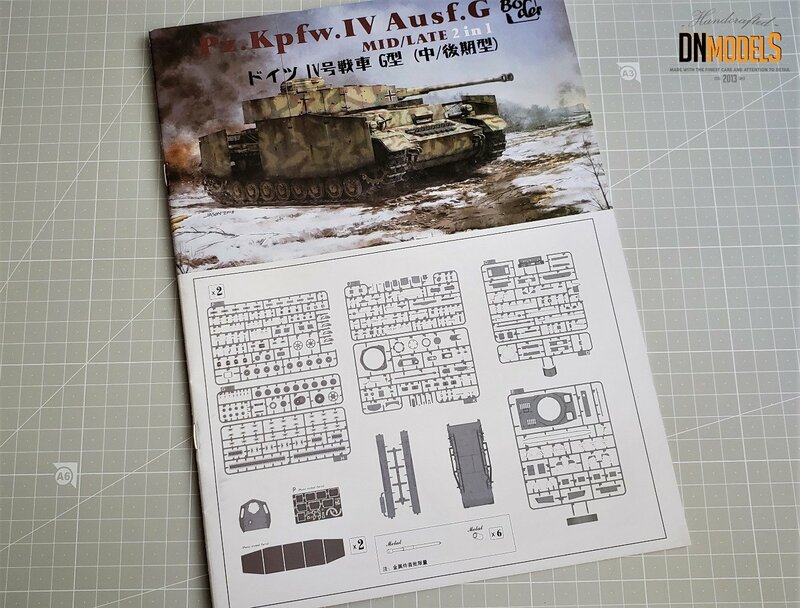 Aside from the accuracy, which I will leave to Panzer IV experts, this kit is very good and faces competition only in Dragon kits. 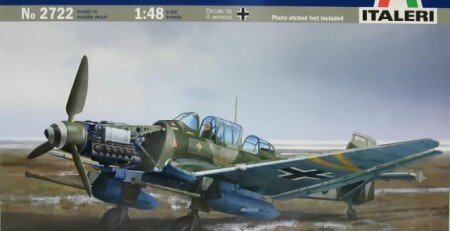 Avoiding the accuracy discussion is not because I think the kit is inaccurate. On the contrary. 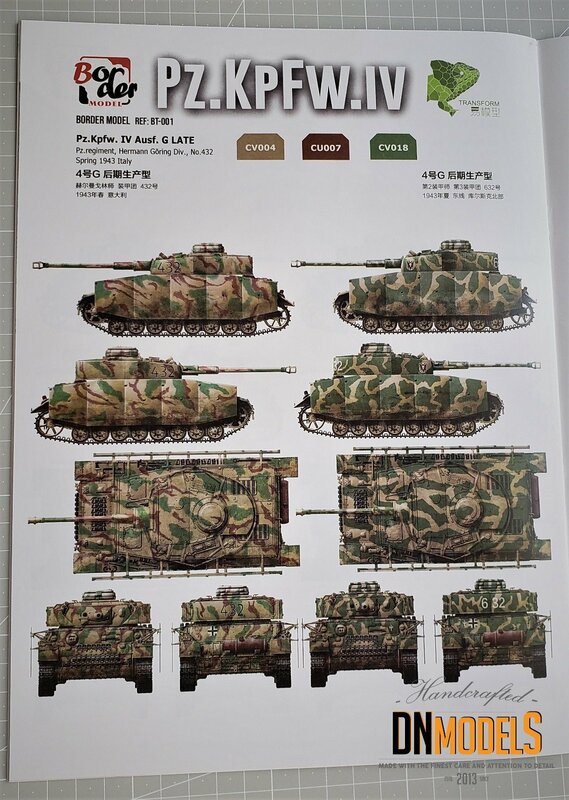 It looks pretty much like all the other Panzer IVs and actually the plastic is better than in the most of them. 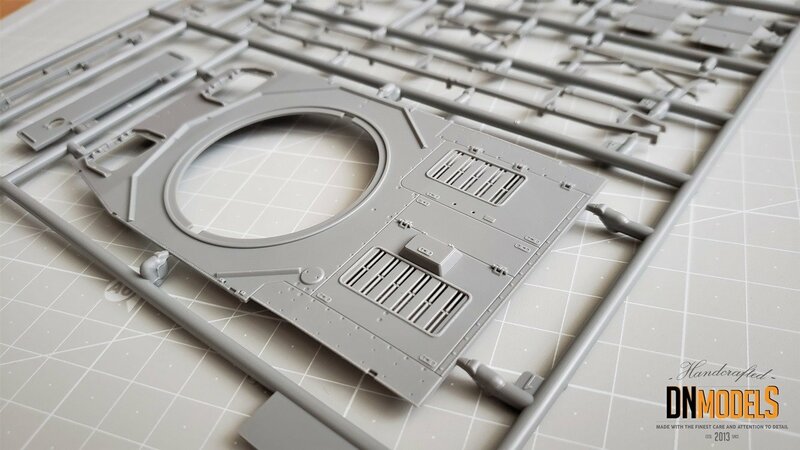 However, there are some tricky places and some tiny little details that might eventually spoil it for some of the modelers out there. Not necessarily of course, but again, only time will tell. 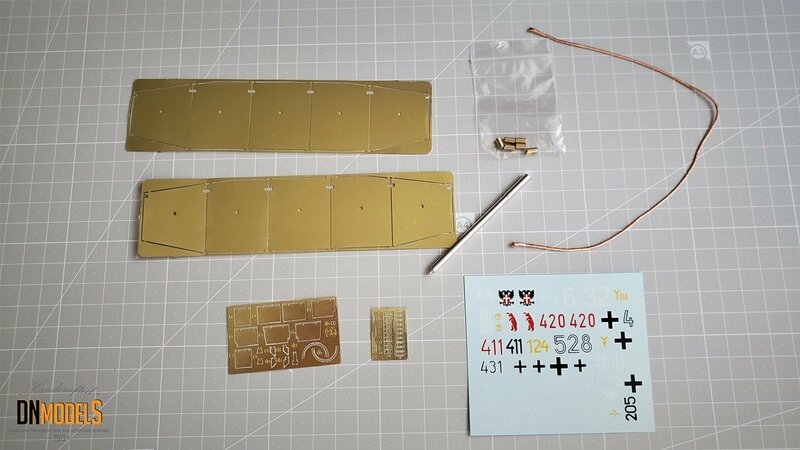 In general, the kit is very good and the minor let downs in terms of English description or some engineering decisions can be easily put behind, considering that there are nice metal add-ons, 2 versions and for example bonus T-34 tracks for additional armor. Alongside with that, we get plenty of options and almost a certain promise, that there will be more from Border in the near future. Being very pleased with their first release, I can only wish Border Model – Godspeed and keep up the good work! We look forward for more! 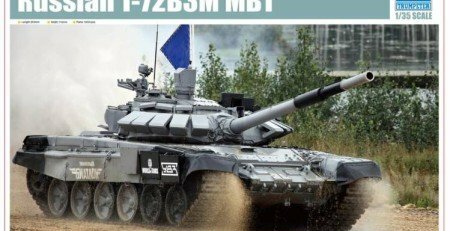 Tank Biathlon and BMPT-72. Second round.